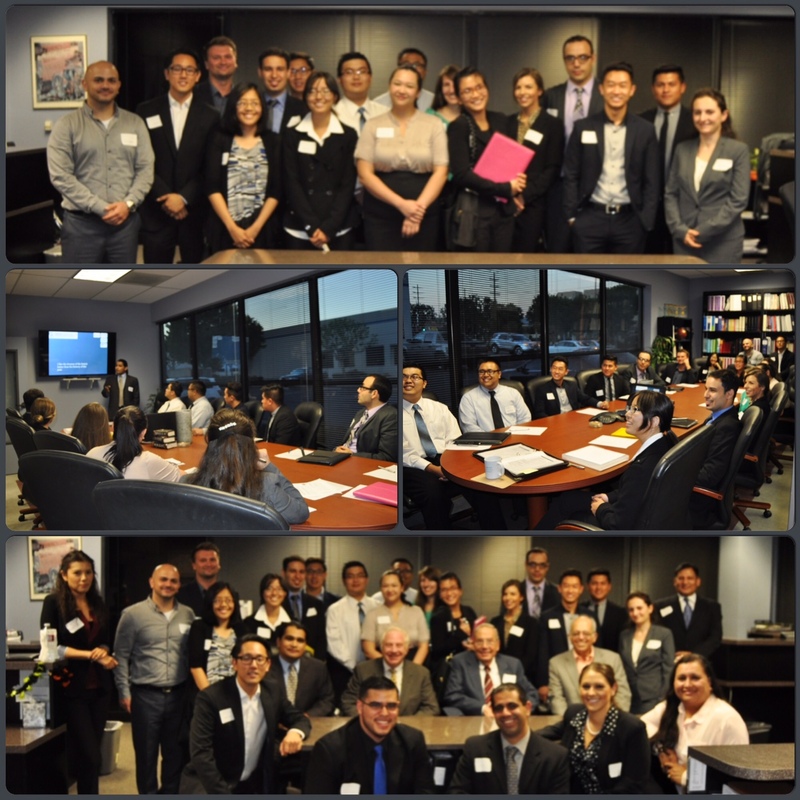 BAI Hosts 2014 CSUN Firm Tour - Breard & Associates, Inc.Breard & Associates, Inc.
BAI hosted its 2014 Firm Tour on Tuesday October 7th. The firm opened its doors to 17 Cal State Northridge Accounting students who were eager to learn of the day-to-day activity within a local public accounting firm. The tour began with a personal and industry background presentation by Kevin Breard followed by a company history presentation by Vince Alvarez. The students then gathered in the staff area where each staff member was given a chance to introduce themselves. Finally, the majority of the tour was spent mingling over drinks and deserts where the students inquired about various topics including: the Broker-Dealer industry, the firm culture, CPA exam review, and personal experiences. The staff enjoyed sharing their various experiences and offered valuable tips on how to succeed in the profession. BAI hopes to have met a future staff member from the group of students and plans to hire an intern to help during the Spring semester. The firm plans to hold future firm tours after the success of this event. A special thanks to Celine Nacion and Timothy Koh for planning and coordinating with our administrative staff to have the event go without a hitch.